Posted on October 20, 2016 by Rebecca V.
Callie McPhee is prepared to have a great summer. She has her boyfriend Nick, her best friend Carson, and a new BMW. Even though her best friend is still obsessed with ghosts, and Nick seems a little bit off lately, Callie knows that she is going to have a great summer before her junior year. Except when tragedy strikes while Callie is speeding and distracted by a phone call from Nick. This isn’t the summer she imagined. Callie wakes up in something called the Prism, where she finds out she’s dead and is assigned a Guide named Thatcher. Callie isn’t a “normal” ghost, and develops a rebellious streak. She wants to live a little by hanging out with the “bad” group of ghosts and haunt on her own. But when the poltergeists, the bad group, starts turning more dangerous, Callie must figure what’s right. She has to watch her father, friend, and boyfriend go through different types of grief, and sort out her new feelings for Thatcher. When the poltergeists go past a boundary that Callie didn’t know was possible and Thatcher feared, they must do the impossible. Will the poltergeists stop? Read the book to find out. I thought Ashes to Ashes was a great paranormal romance novel. Once you read this book, you have to know what happens next in the sequel, Dust to Dust. Ashes to Ashes makes you think a lot about ghosts. I will recommend this book to anyone who wants a good paranormal romance book. 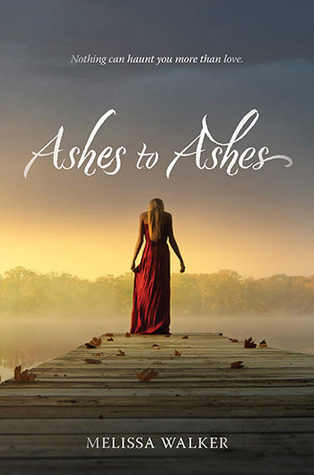 Ashes to Ashes is available for checkout from the Mission Viejo Library. Posted on September 27, 2015 by Angela J. Made For You is a book that grabbed my attention right away and didn’t let it go until the end. It wasn’t necessarily the best book I’ve ever read, but it one was of the better ones in a while. This being said I really don’t know how to describe it. Its components are similar to a lot of teen books; romance with a hint of mystery. The thing that really garbed my attention though, was the darker nature of the plot. At the end of the second chapter the main character, Eva, has already had an attempt made on her life by someone know only as Judge. It was this chapter that really made me want to continue reading, his motivation for the murder attempt is what I found really intriguing, in fact his thoughts throughout the book were what I found most inserting. In my opinion Judge is easily the stronger character in the book, and my personal favorite, not because I was rooting for him to succeed but because I thought he was extremely well written and one of the more interesting characters out of a lot of books I’ve read. But enough about Judge for now, it’s what happens after Eva walks up from his murder attempt that things start to get weird. Eva wakes in the hospital with the ability to see people’s death’s when the touch her. It is because I of this plot point that I have a hard time describing this book. This power, if you want to call it that, is very interesting and a driving force behind the plot. I thought it was very well thought out with limitations and other flaws that made it more believable. Except for one thing, we never really find out were the power came from. We find out it’s flaws and how it works, but not once is the source of the power mentioned.. As much as I loved this book, and I really did, this was a huge problem for me. 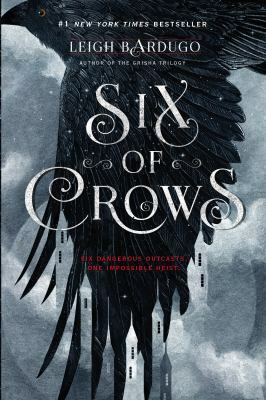 I loved the story, and as mentioned early Judge’s character was very interesting, but I really feel like this was an attempt to add fantasy twist to what was other wise a book that bordered on realistic fiction that fell a little short of the goal. Honesty for a while I thought that maybe the whole thing was just in Eva’s head, or that maybe the hit and run had activated some kind of dormant magical ability, but at the end of the book I still didn’t have an answer. Now this doesn’t mean that Made For You isn’t worth the read, I really think it is, I just think it has some flaws that should have been addressed. 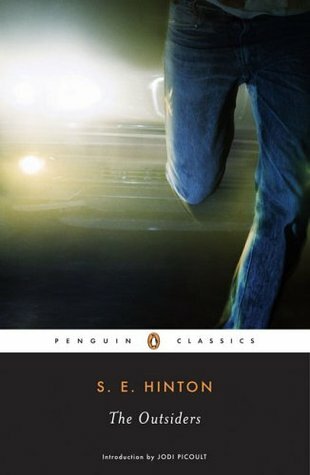 As a whole though the plot is very interesting, the characters and unique and three-dimensional with interesting motivates driving their actions, and a very interesting reveal at the end of the book pertaining to Judge’s identity, all of which make this a very solid read. One thing to keep in mind is since one of the driving points of the plot is an attempted murder their is some violence that may make younger readers uncomfortable, but high-school aged readers (and mature middle-school readers) probably won’t have a problem with it, as their are only a few short scenes. If you are looking for something that isn’t quite like anything else then I highly recommend giving Made For You a read. Made For You is available for check out from the Mission Viejo Public Library. Posted on September 25, 2015 by Linna C.
This sequel to the first book in the Septimus Heap series begins with a new foe that seems strangely familiar… ***SPOILER ALERT IF YOU HAVEN’T READ THE FIRST BOOK*** Boy 412, or Septimus Heap, as Aunt Zelda helped him to discover, is living a normal life as Marcia’s apprentice, or as normal as a wizard can get. Then one day, on a day that Marcia gives him to spend as he likes, he decides to visit Jenna in the Palace. Then suddenly Simon Heap appears and kidnaps Jenna! And, nobody will believe Septimus that Simon has kidnapped Jenna, making it difficult for him to do anything. How will he be able to get Jenna back? What does Simon want with her? That, until you read the book, is a secret that only the readers know. I loved Flyte just as much as I loved Magyk. The escapades of Septimus and Jenna always are able to make me laugh, and those of a new(ish) character too, Beetle. Beetle is a worker at the Manuscriptorium, a place where they keep books and other things. He became friends with Septimus after they discovered their common interest in Magyk. Beetle is a bit weird, but that’s another reason that I like him. And, he has more in store for him in the five books to come (currently available in the library). New character aside, there’s lots of other things that I like about Flyte. It has a lot more Magyk than in the first book, a big plus for me. It also links a lot of new stuff back to the first book, like a hidden room in the castle that might have something to do with Aunt Zelda’s cottage (hint, hint). 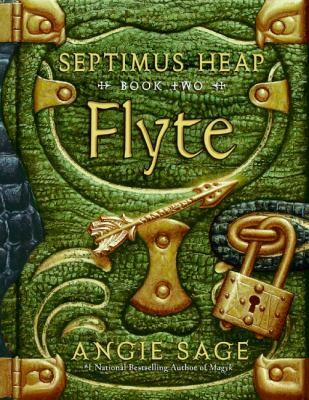 I would give this book a 10 out of 10 because it’s an awesome book and because Angie Sage did a great job of bringing her characters back for a brand new adventure. Flyte is available for check out from the Mission Viejo Public Library. Posted on September 23, 2015 by Megan V.
It all started with the rabbit hole. Of course, Alice falls down it and finds herself in the bizarre world of Wonderland. But what would happened if when she came back, something wasn’t the same? Skip two centuries to Alyssa Gardner, the descendant of Alice Liddell and inspiration for Lewis Carroll. She just wants to live a normal life with school, artistic desires, and Jeb, a cute artist. 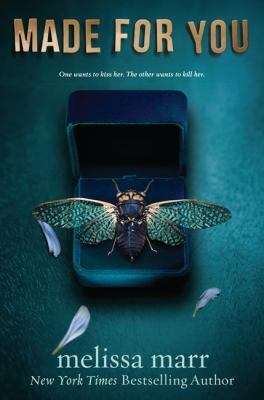 But the curse of the Liddell family that causes their girls to go crazy (including her mom) and the strange power to hear the voices of plants and insects keeps Alyssa’s life anything but normal. That’s when she gets a call from the boy of her dreams (literally) to help save Wonderland and fix everything her ancestor messed up. If she does, she’ll be from her family’s curse, and her mother could be saved. But Wonderland is not how it seems through Lewis Carroll’s innocent perspective. This book, along with the other two of its series, is amazing. 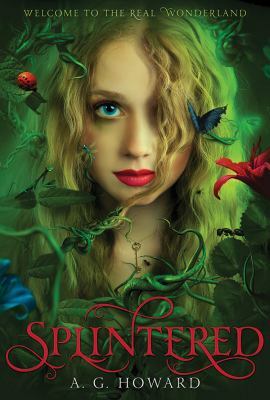 It’s full of humor, including the comical fights between the two edges of the love triangle Alyssa somehow gets sucked into, a sarcastic characters, and the events Alyssa has to face in Wonderland. I actually didn’t personally like Alice in Wonderland. However, when I read this book, I liked it way better than the original. And for those of you who like horror, all I’m going to say is that one of the author’s inspirations was Tim Burton. Additionally, there are small details that lead to very interesting and well thought out plans, which made the book even cooler. And of course, the classic secret keeping, in which secrets blew my mind and were ones I didn’t figure out before. Finally, the author puts the classic story into her own words, with characters the reader will recognize by name and be intrigued with. All in all, this is one book that should be read! Posted on September 17, 2015 by Maya S.
Winter vacation. An inn for criminals. Two maps. One massive adventure. Milo and Meddy, together. This story begins with a young boy named Milo, returning from his last day of school before Christmas break. It has started to snow, and he has finished his homework so he can have some fun, but some strange things start to happen. He and his family, the Pines, live and work at an inn called the Greenglass House. For a long, long time, it has been the temporary home of several harmless thieves, smugglers, and other suspicious criminals. Winter is a slow time for the hotel, and customers are rare near the holidays. However, this year it’s different. Just as Milo shuts his math book, he hears the distant ring of the bell. He and his mother, Mrs. Pine, rush outside to see a man trudging up the snow covered front steps. The man introduces himself, and throughout the course of the afternoon, so do ten other guests, as he is the first of many to stop by this night. Eleven in total arrive at the Greenglass House, while Milo is thinking this could quite possibly be the worst Christmas vacation ever. Milo was miserable until a certain girl named Meddy comes to stay as well. After just one day, Meddy and Milo seem to become the best of friends. Milo shows Meddy a map he found suspiciously left in a rail car. It is quite a unique map. The two aren’t sure what it is showing, but they believe it is some kind of waterway. This creates a curiosity in young Meddy. In her attempt to cheer Milo up, she has an idea for a fun game they could play together. The basic objective is to find out what the map is and whether treasure exists. And you have to play while adopting fake characters. They decide Milo will be a blackjack, the leader, clever and athletic, while Meddy will be incognito. Milo’s new name is Negret and Meddy’s, Sirin. They begin their quest in the attic where they find materials such as clothes for Sirin and necessities for Negret. The game gets pretty fun until one morning, some of the inn’s inhabitants wake up to find they have been robbed. The two friends put aside the game to search for the missing items. At this point in the book, I thought of the song, Smooth Criminal, by Michael Jackson. The tune and lyrics struck me as the smooth criminal in the story left no leading clues from his theft. As the storyline develops, things start to get intense, violent, and secrets are out in the open. At this point, I’m questioning whether the situations will be resolved and whether I would be able to hum Happy by Pharell Williams by the last page. This story twists and twists into a whole new plot. It changed so much that I vaguely remembered the beginning! Kudos to Kate Milford on Greenglass House. This well-written and heartwarming novel deserves 10/10 stars. 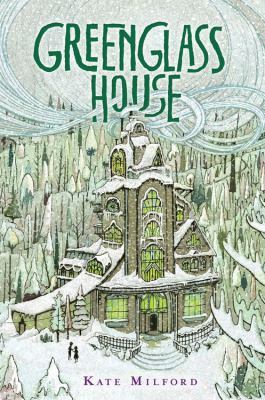 Greenglass House is available for check out from the Mission Viejo Public Library.